I thought I would do something a little different this week, and decided to do a Plan With Me. Now I am by no means someone who likes to video tape themselves, so YouTube is a no go. I am going to attempt to do this via a blog post. My usually planning days are Wednesdays. I like doing it then because I usually have a good idea of whats coming the next week, and I am able to do the half week planning as well. 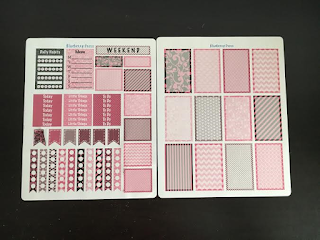 I usually start by either picking a washi tape that my spread will coordinate with or I will choose a weekly kit. 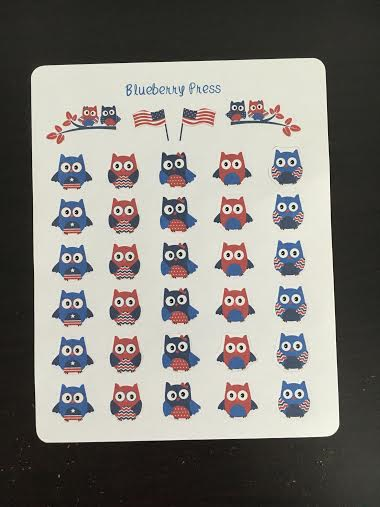 For the week of July 4-10, I decided to do a patriotic theme being that July 4th is Monday. 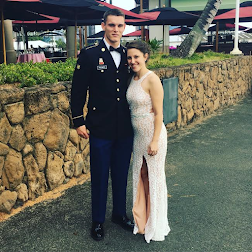 Being a military wife, these days are very important to us, and we usually celebrate them in style. I went with a gold, red, and blue theme along with some stickers I found in the Target Dollar Spot. Open to your new week. I love using post-it notes to mark down future events so that when that week comes everything is already there and I don't have to worry about missing anything. My essentials are: Washi Tape, Staedtler Pens, a Sharpie marker, planner stickers of course, and my gift card which I use to cut washi! Apply washi to the top. I always cover the time slots between 6am - 8am. Now that I stay at home (temporary), nothing usually happens before 8am. Usually I just use one washi, but this week I thought I would be a little festive. Then I start to embellish the page. I start to put in important events or appointments of things I know will not change. These would consist of doctors appointments, days off, dinner plans, date nights, etc. These would be events that I would plan around so it's important that they are the first things I place down. Here I plan my husbands day off. I use a glitter sticker (I'm not sure where it came from) and a soldier sticker that came from KreativeKeo on etsy. I also know that an important package will be delivered on Tuesday so I mark it down so I know to check the mailbox pretty consistently that day. 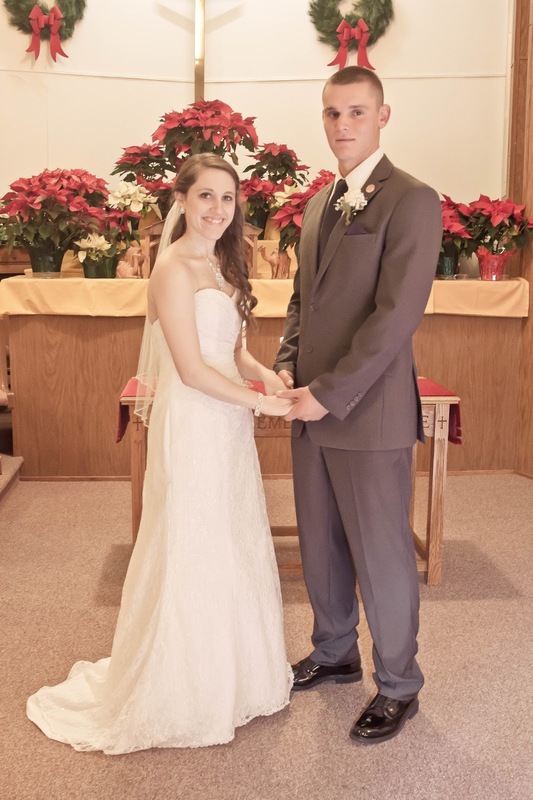 (My wedding photos are finally arriving!!!). I use the sampler I received from BlankSlateStickers and a package icon from KreativeKeo. I am kind of obsessed with Hallmark Christmas movies so I had to make sure I put down the important ones that will be on. But honestly who am I kidding, the Hallmark channel will be on the entire time that week. Here I am using label stickers from NicoleHutchDesigns and placing them at the time of the movie. I will always write on the sticker prior to putting it in my planner so I don't risk messing up the pages. It just works better for me that way. The weekend banner is also from KreativeKeo. I don't usually decorate my side bar, and keep it pretty functional. But next week I have a lot of incoming mail and wanted to make sure that I keep track of when it comes. 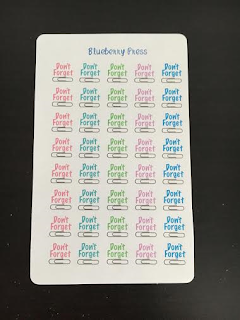 This will make it easier than putting stickers down on every day. Again, I'm not sure where the glitter flag came from, but the mini-truck is from TheInspiredPlanner on Etsy. The rest of the planning is done as the days come. I don't add to-do lists or dinner plans until the actual days because lets be real, I don't know what I'm cooking until that morning. That's just what works best for me. I usually keep a stack of stickers I will likely use out on my desk to plan as I go. And that about wraps up the Wednesday planning session. I use this as a time just to get the important stuff down and organized so I know what to expect as I make plans. 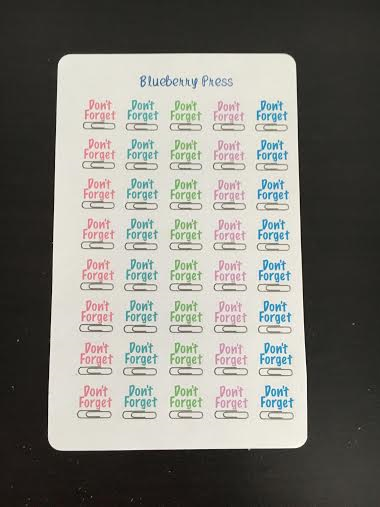 This allows me to remember and stay functional with important tasks that are coming up. It also allows me to get together future documents I may need for next weeks appointments so that I am not scrambling to find everything once the night before rolls around. Like I said, it's what works for me. Everyone is different when it comes to their planning style, and that's totally okay! We are all unique and that's the great thing about the planning community. Here's a few pictures of how my desk usually looks while planning. Thank you so much for reading, and I hope you enjoyed my post. Let me know if you like this post and if this is something that you'd like to see on a weekly basis! Quite sometime has passed since my last post, and so much has happened! I will save that all for another post though, so stay tuned! I'm back today with a review of an Etsy shop that I came across. I reached out to Nicole on etsy because I loved her weekly kits. 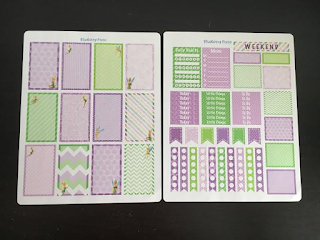 What really stuck out to me was that she had multiple kits for different planner layouts. 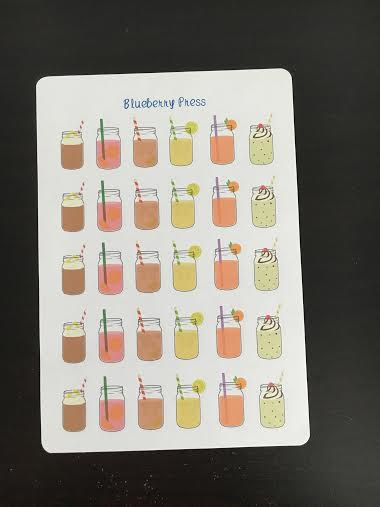 Whether you have a Happy Planner, an Erin Condren Planner, or a Limelife planner, Blueberry Press is a one-stop-shop. Nicole sent me a few stickers to test out! First of all, I was very impressed with her shipping time. She had Instagram messaged me that she had sent them and they arrived in 2 days. She ships in a large cardboard mailer and has do not bend all over. The stickers arrived in perfect condition, even all the way across the ocean. Nicole offers weekly kits. This pretty in pink is just one of them! 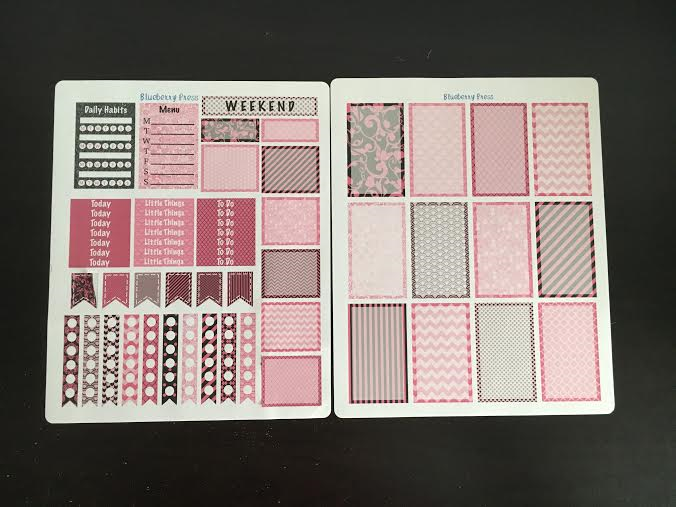 What is unique about this shop is that she offers kits for several different planner. 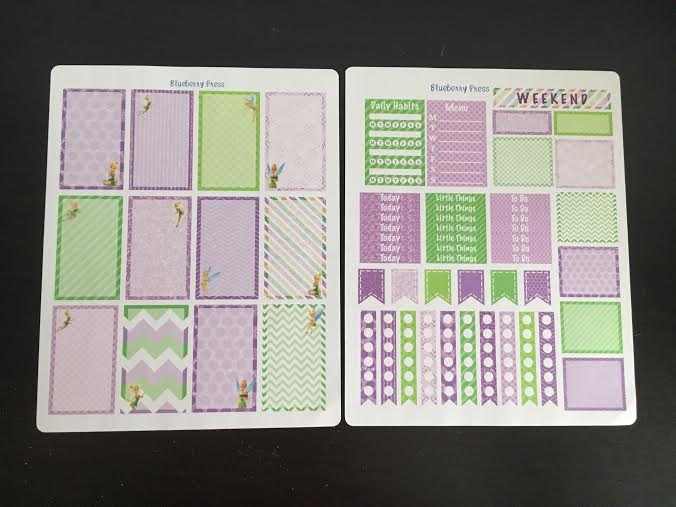 The Happy Planner, Erin Condren, and Limelife layouts are just to name a few. I love all of the stickers she offers in this one kit. It can be used for both a functional planner, as well as a no white space planner. Plus, the colors are beautiful. I love how summer-y these mason jar mugs are. They are kiss cut and look beautiful in your spreads. Here is another weekly kit that she offers. This would be perfect for an upcoming Disney spread, or someone who just loves Tinkerbell. I absolutely love the colors that she chose for this kit! I must say, Nicole does an amazing job making and selling stickers. She was so nice to work with, and I am honored that she sent me stickers to review. I hope you all enjoyed the review, and you head over and check out her shop! Don't forget to tell her Jen sent you! The past 7 months....where did they go? I cannot believe that it has been so long since I've been active on my blog. I've missed you all! I've been asked several times what happened to me, so I thought I would just make a general post. I have remained active on Instagram so if you follow me there, you know whats been going on! But if not, here's your explanation! The last year has been absolutely crazy for me! I feel like so much has happened between June 2015 to today. Thank God for my organization and my planner, or else I don't think I would have made it through. Last year June my "at the time" boyfriend decided he wanted to enlist in the Army. He took the exam, and did so well that he was able to qualify for the job that he wanted. From there I knew my life would be changing. 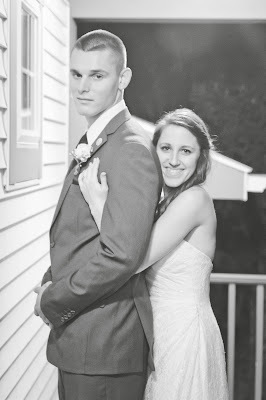 June 30th, while we were vacationing in Virginia Beach, he had asked me to become his wife. Of course after 5 years of dating, I said yes! We decided to get married pretty quickly. We had planned for December knowing that he would be on holiday block leave from the Army and he would have 2 weeks home. To anyone planning a wedding, I would not suggest doing it while your husband is in basic training where there is no way to contact him, Haha! Needless to say, I was finishing up my last year of grad school, planning a wedding, and learning how to be part of the Army family. Life was crazy. My blog and crafting side of me took a back seat. Unless it had to do with one of those things...it definitely didn't get done. The wedding came quickly. It was an amazing day and better than anything I could of dreamed it would be. I loved having him home for a few weeks. But like always, knowing he was leaving again was in the back of my mind. 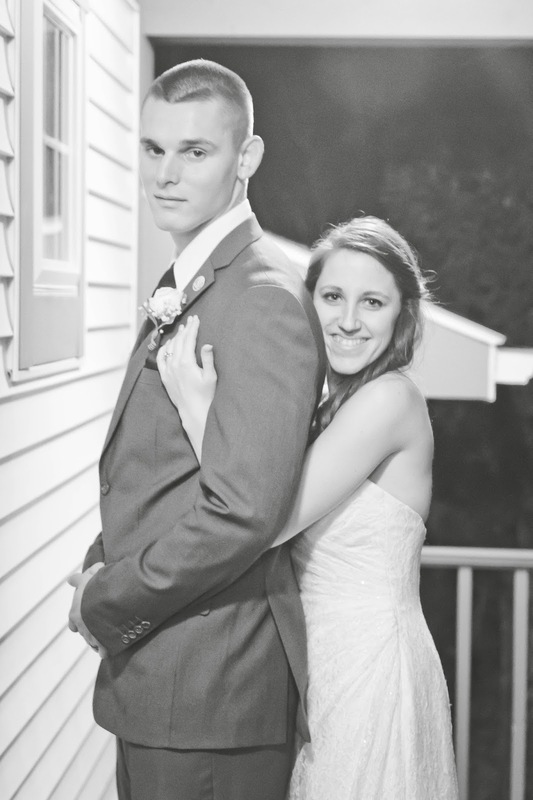 Everyone knew that once I finished school and he completed AIT, I would be moving with him. As everyone prayed for different places, I just prayed it would be somewhere safe. Somewhere my new husband and I could start our life without fear of deployment (is that even possible in the Army?). A few months went by, and I continued to finish school and Derek was doing really well in training. One night he called with the news that we had been waiting for. The news that we knew would change our lives. Derek had been stationed in Hawaii. We were from New York. How the heck was this going to work? Both of our graduations came and we knew what was coming. I began to pack my live up into a few suitcases, and said goodbye to people who have made giant impacts on my life. It felt like those few days I had left flew by. I knew that I was going to be and take care of my husband, just as God commanded me to do, but I never knew leaving would be this hard. I had learned that life had gotten too comfortable for me. I hadn't experienced much change nearly at all. And in that 11 hour flight, my whole world was about to change. My husband picked me up at the airport in Honolulu, HI. It was such an exciting reunion. I was so happy to know that when I said goodbye to my husband this time, it would only be for a work day, and at the most, for a few hours. Since I've been here, I feel like I've grown as a person, a wife, a child of God, and a woman. 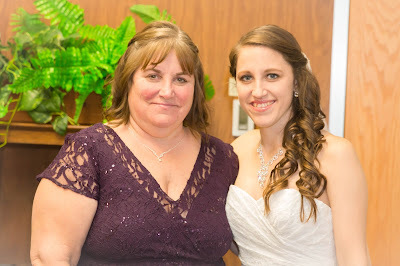 I've learned what its like to take care of someone other than myself, and what my mom had been doing for 30+ years. Hawaii is an amazing place, and I truly feel blessed to have the opportunity to live here. As time is going on, I'm realizing how much I missed having my blog as my creative outlet. So here I am. I am back at it. Back at loving what I do, in this beautiful place I now call home. If you have any questions, comments, or things you'd like to read, PLEASE leave them in the comments below. 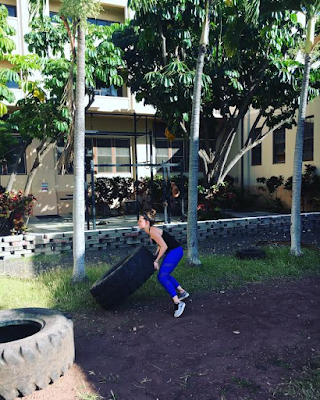 I am so excited to be back, and ready to share my Hawaiian creative journey with you!